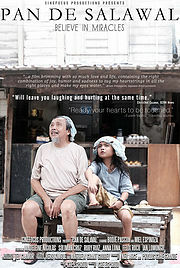 A homeless girl travels about the Philippines curing the afflicted with her mysterious healing powers, until she befriends a sick old man she is unable to cure. The unlikely pair are drawn to each other with both of their lives forever changed by their friendship and magical journey together. With wealth, corporate success, and a loving family, Alex Taylor, seemingly had it all. That is until a terrifying demon shows up night after night to haunt his every move. Trapped in a huge corporate building, Alex is chased by the deadly demon who demands he play an evil game to the death. 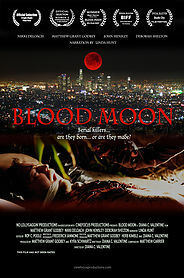 As night falls over Los Angeles a rare lunar eclipse, a blood moon, engulfs the city and in tandem with the rising moon comes a rash of serial killings. Melinda heads out on a first date with charming Jonathan unaware that she’ll soon find herself in the cross hairs of a dangerous lunatic. Down-on-his-luck businessman Daniel finds himself alone, terrified, and trapped in his office as he struggles to win a deadly game to save his own life.